Create A Team - Become a Walk for Kids Team Captain! Invite your friends, family or colleagues to walk with you on April 7, or to make a donation to support your team's fundraising efforts. Join An Existing Team - Walk with or donate to a Walk for Kids team that has already been set up. You can use the search fields to the right to look up a Walk participant or team. Register As An Individual - Want to attend but don't have a team? No problem! Click the button to sign-up for the event, and don't forget: Kids under 18 walk free! Prizes will be awarded for top fundraising teams and teams with the most spirit! Unable to attend but still want to support Walk for Kids? 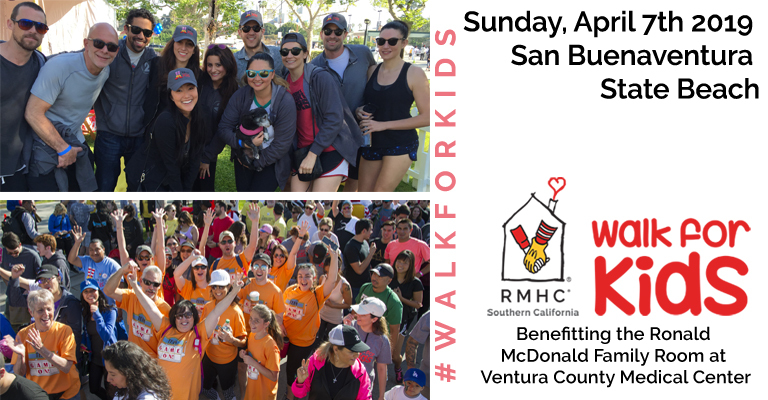 Follow the link to the right - Click here to donate directly - and your gift will go to help the future Ronald McDonald Family Room at Ventura County Medical Center! 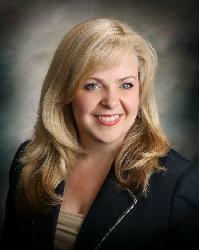 Kim Milstien is the CEO of Ventura County Medical Center and Santa Paula Hospital, and also serves as Deputy Director of the Ventura County Health Care Agency; she has served in her current roles since March 2015. Previous to the Health Care Agency, she spent 18 years in Adventist Health, a system of 20 hospitals in the Western United States. She served as VP Business Development at Glendale Adventist Medical Center and then as President & CEO of Simi Valley Hospital. Kim and her husband, David Milstien, have a daughter, Mikayla. We are grateful to Kim for her leadership in supporting the development of a new Ronald McDonald Family Room at Ventura County Medical Center! 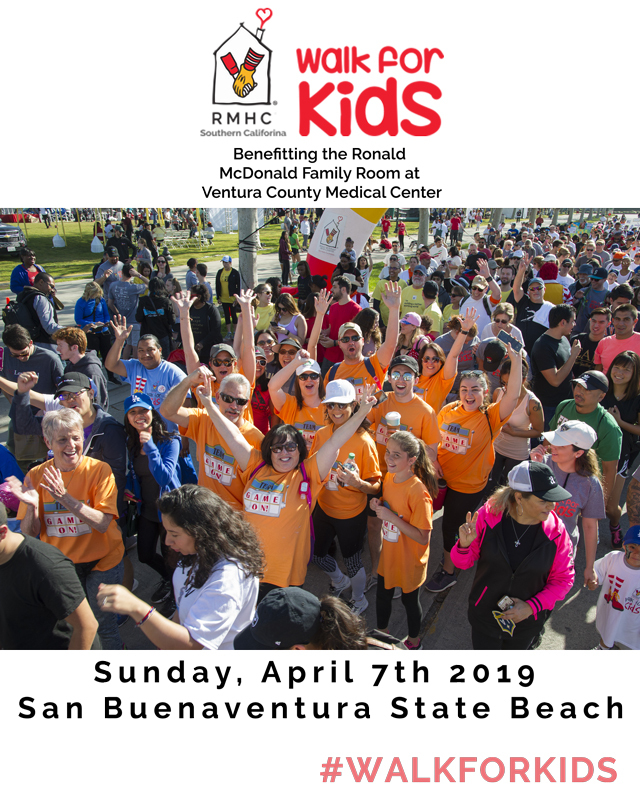 Want to get more involved supporting Walk for Kids? Thank you for your support! See you at the beach!